Here’s a not so fun fact: According to the Department of Energy, the average home loses up to 30% of heated or cooled air through leaky air ducts. So it makes sense that sealing and insulating those ducts is one of the top ways (and inexpensive way) to boost your home energy score on your Portland home. Whether or not you’re getting a score, you can greatly improve your home’s energy efficiency and reduce your utility bills by performing this DIY project. If you’re willing to get a little dusty in your basement or attic, this is a low-cost, medium-skill procedure that could really pay off. Obviously, to insulate your ducts, you need to have them in the first place. The second item is to determine if those ducts are in an uninsulated space where they could be giving up heat (or cold, if you’re running A/C) to the surrounding “unconditioned” air. A duct carries heated or cooled air from the HVAC unit through the home. If your home is heated with a wood stove alone, radiant heat, electric baseboard heaters, or some other kind of system that doesn’t involve forced air, your home will not contain ducts. Most ducts are located in the walls of a home, terminating at vents that blow out hot or cold air. Typically made from galvanized steel or aluminum, most ducts do not hold in heat or cold very well. They rely on wall insulation to retain their efficiency. Portland homes with exposed, unsealed and uninsulated ductwork will see a hit on their Portland home energy score compared to homes with fully sealed and insulated ducts. Most uninsulated ducts are found in attics and basements or crawlspaces. Before ducts can be insulated, they should be inspected for leaks and sealed. The home energy score guidelines used by Portland assessors require duct sealing to reduce air loss from ducts to 3% of the total flow. While the average homeowner cannot measure the volume of air flowing their their ducts, and compare it to what is being lost, the idea here is to seal up those ducts as tightly as possible so that your hard work counts toward your home energy score at the end of the day. The other thing to keep in mind is your personal safety when sealing ducts. Whether you’re in the attic or basement, use caution and only move into spaces where you feel comfortable. If your unsealed ducts are not easy to access, or if you find mold, leaks, or other issues, call a contractor. Inspecting ducts. Look around for ducts that have major holes due to rust or other damage. They may need to be replaced. If your ducts, seams and joints are in good condition, move to the next step. Detecting leaks. Turn on your HVAC system so that it’s constantly blowing. Big leaks will be easy to find by holding your hand near the ducts; smaller leaks can be detected by a smoke pencil or stick of incense. Mark the areas that need to be sealed with a grease pencil. In addition to these obvious leaks, it’s a good idea to seal all seams and joints for good measure. According to the DOE, duct mastic is the preferred material for sealing seams and joints in ductwork. It can get messy, so be prepared. In some cases, tube mastic may be a good choice, but usually a bucket of mastic and brush are needed to seal all possible leaks. Foil-backed mastic tape (not duct tape) is another option if the job is not extensive. Both mastic and mastic tape are considered sufficient for duct sealing under the Home Energy Score assessment guidelines. Keep in mind that sealing ducts in an unfinished basement will make the basement colder in the wintertime. You may need to add wall insulation as well — which is another great home improvement to do before you list your home for sale. Use at least R-11 insulation to receive potential credit toward your Portland home energy score. Now that your ducts are nicely sealed, let’s snug them up with some insulation. 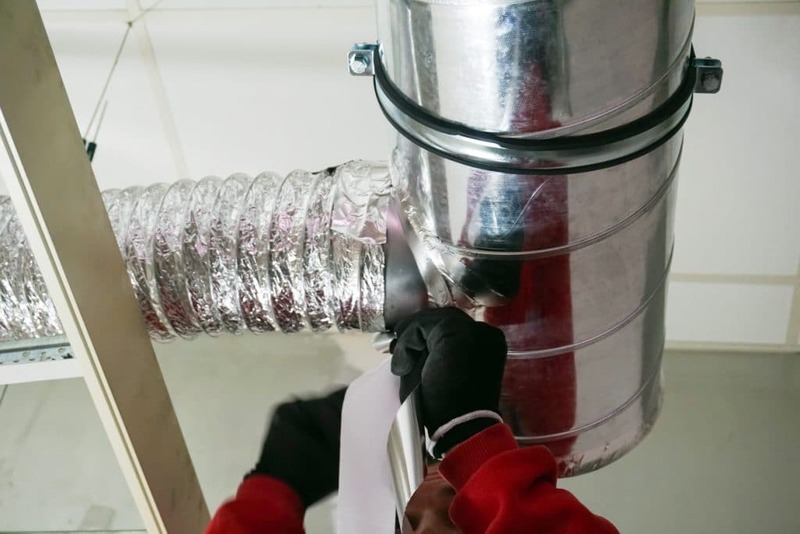 Duct insulation will further reduce the loss of heat (or cold, for A/C) through your ducts, improving the overall efficiency of your HVAC system. Choose your insulation. Foil-backed fiberglass bats are a cost-effective option. As long as the insulation is heat-resistant, and rated at least R-6, you’re good to go. Gather other materials. Safety goggles will be helpful here, to avoid getting fiberglass or other material in your eyes. A breathing mask is also recommended. Use a box knife to cut rolled insulation to the proper size, and foil tape to secure the insulation around your ducts. Cut the piece of insulation to fit snugly around the duct, but not so tightly that the insulation is compressed. Wrap the insulation around the duct so that the two ends meet at the top. Then secure the piece of insulation with several short strips of foil tape going across the seam. Seal the entire length of the seam with a long piece of foil tape. Repeat until all exposed ducts are covered, leaving no gaps in the insulation. Double-check to make sure that every seam and joint of the insulation is sealed securely with tape to prevent moist outside air from penetrating through the insulation and condensing on the ductwork. Limit heated/cooled areas. Heating vents in areas such as unfinished basements and garages increase your heating bill and lower your home energy score by up to 30%. Even if the vents are “closed” or temporarily sealed you are still loosing energy. Instead, remove or permanently seal the vents in these areas. Consider upgrading your HVAC unit. Models that are 20 years or older are likely to be less energy efficient. In addition, heating and cooling systems lose their efficiency over time. You may not need a total replacement; retrofitting can improve efficiency by up to 35%. Don’t neglect regular maintenance. Like a car, your HVAC unit needs to be maintained regularly to achieve optimum performance. 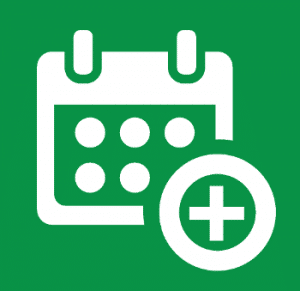 Consult the manufacturer for the recommended maintenance schedule and service professionals. Optimize airflow. Boost HVAC energy efficiency by keeping units clean and clear of debris, leaves and dust, and having ducts cleaned every 3-5 years. Your lungs will thank you!